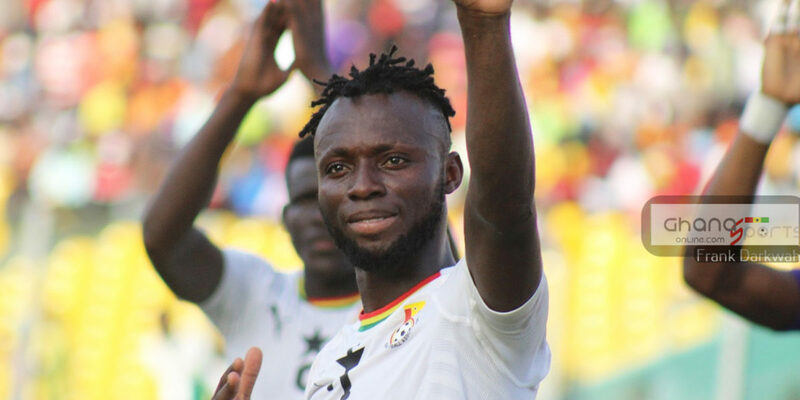 Black Meteors striker Kwabena Owusu is currently the joint top scorer in the Africa U23 Cup of Nations qualifiers with four goals. Owusu is on same goals with Jackson Muleka from the DR Congo. The 21-year-old Salamanca attacker was on the score sheet for the Black Meteors when they crashed Gabon 4-0 at the Accra Sports Stadium over the weekend. He had initially bagged a hat-trick in Ghana’s first round qualifier against Togo at the Babayara Sports Stadium. Winger Osman Bukari is also on three goals joint up with Sudan’s Waleed Hamid. Bernard Tekpetey and Nassam Yakubu all have one goal to their credit. Ghana takes on Gabon in the return encounter on Tuesday with Owusu, Bukari and Tekpetey all expected in action. Yakubu on the other hand will miss out having failed to make the squad for the qualifier against Gabon despite featuring in the match against Togo.